So I went to see an early screening of Terminator Genisys. I don’t normally get to the movies on a Monday night, but as an afficionado of ballsy Austrian folklores and a devoted Arnocorps rescue team member (fan), I thought why the hell not. Why am I gushing lyrical about what should, to any reasonable expectation, be another Arnie revival vehicle / hollywood-juggernaut cash-in on an old franchise? Well, because (full disclosure) 1. Tee-two is one of the first films I ever got excited about, back in my booger-picking, BMXing days, and 2. because they appear to have consulted a REAL WRITER to handle the script. Sarah Connor. She’s got agency in spades. In fact, her getting to make decisions, to push back on the story in spite of all the time-travel predestination stuff, is central to the narrative of the story. Lovable characters. You want these people to win. Not just scared for them, not just wanting the baddie to get beat, but actually, I want to hang out with these characters. I want to have a beer with them. The lines. Nothing trite, nothing half baked, no over-saturation of witty banter, nor is there any heart-stringy mush (okay, a little bit, but nothing puke provoking). Any jokes that are there, they ring true, they have context, and they speak to the characters. Arnie’s one liners are utilised here to full effect, not in an Expendable way (see what I did there?) but always with a fresh twist, and plenty of respect for the original films. So if you’re wondering whether this is just another re-boot, no. It certainly is not. This is a return to form, like Metallica’s Death Magnetic, or the USA’s Barrack Obama. Arnie’s finally back. Trust me. *I don’t know about the Sarah Connor Chronicles, but I’ll be sure to watch them someday, Arnie or no. 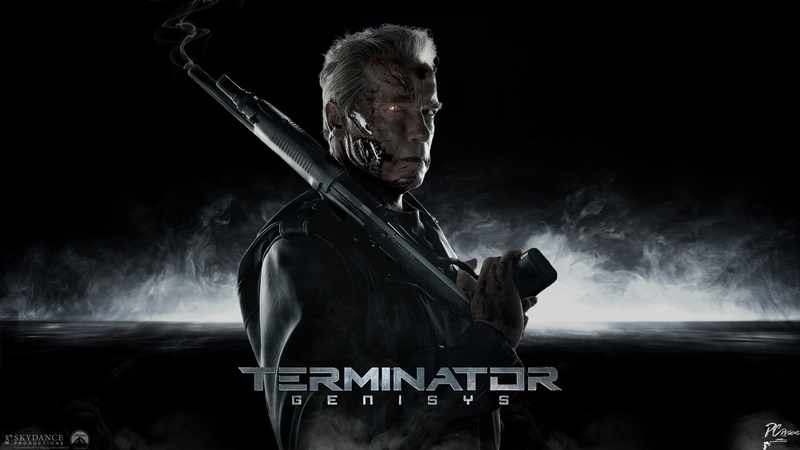 This entry was posted in Film, Writing and tagged Action, Action Scenes, Arnold Schwarzenegger, Film review, Genisys, Review, Terminator. Bookmark the permalink. Wow! I have such a deep reserve of goodwill for this franchise, but my expectations are rock bottom. Thank you for giving me hope that I might enjoy it. Slick review and nicely played. You had me wanting to go until…Well… Um, let’s not use the Current Resident of the White House to be a standard for anything. That particular politician will undermine any merit you are trying to ascribe to the film. Just trust me on this one. Fair dinkum. You haven’t steered me wrong on a movie yet!